I have always been a fan of this neighborhood chain restaurant. They always had good affordable food, lots of drink specials and in some locations, karaoke.I don’t know about you, but a buzzed guy with a microphone in his hand is endlessly entertaining for me! Since I have had to change my diet and lifestyle due to diabetes, I love this place even more. 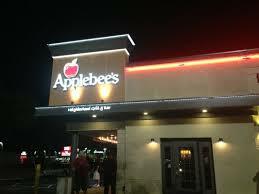 For those of us trying to live a healthier lifestyle, Applebees gives you more choice than any other place that I have visited to date. I counted 12 different entrees or meal options that did not include eating a salad. Wonderful! This week I went there for lunch. They have a little green symbol next to all meals that have 550 calories or less. I had the signature sirloin with garlic shrimp, broccoli, potato and bruschetta and sliced almonds. The meat was seasoned well and cooked to a perfect medium. The potatoes were boiled but seasoned, there were only 3 pieces which was really enough and the broccoli was a little crisp and well seasoned as well. I was full, had no desire for dessert and the bill for 2 including tip was less than $25.00. Our server was friendly and knowledgeable of the menu. The Manager came by twice to check on us and all in all it was a pleasurable experience. 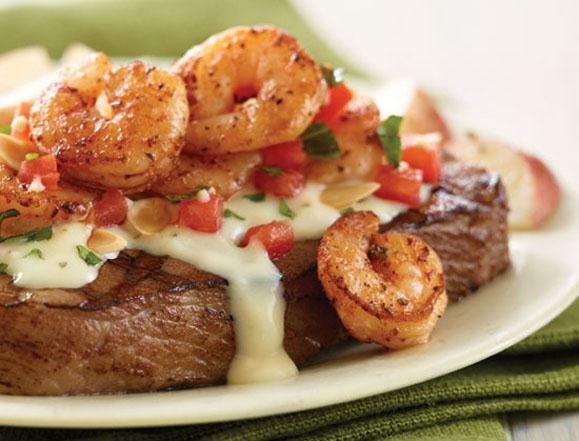 In general I am not a chain restaurant person but for me Applebees is a keeper. It’s important to me to be able to go out and have a choice of more than salad or wraps. I wish more restaurants catered to people with special dietary needs. I also hope that Applebees continues to add more diet friendly options. If you are trying to watch your weight and your wallet this place is a must try. If you know of other places that have a decent range of options for diet conscious people, drop me a line and I will go check it out.